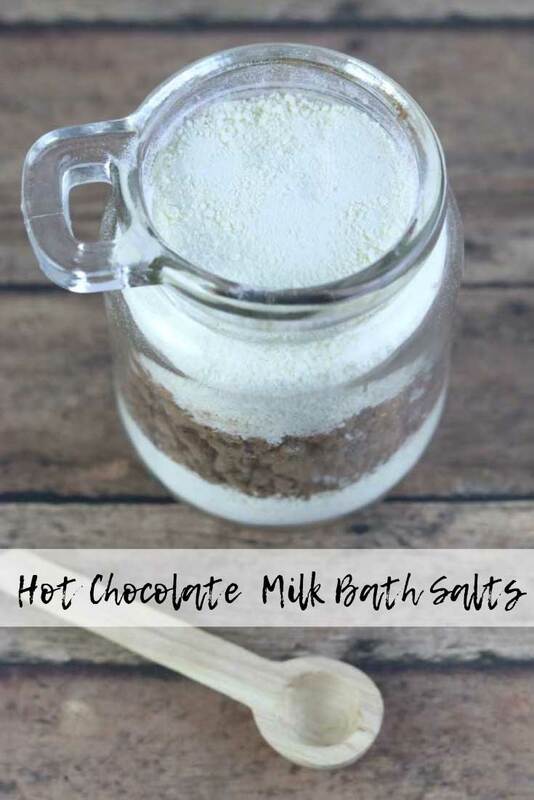 This adorable DIY hot chocolate milk bath recipe is perfect for a relaxing bath for yourself or to make as DIY gift for friends. 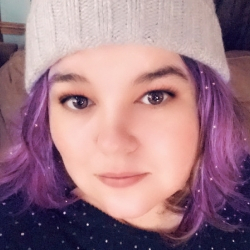 My skin gets crazy, crazy dry in the winter, so right now, I'm all about things to help my skin feel better. 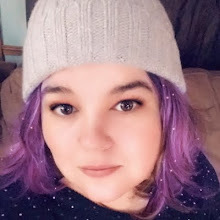 Couple that with the fact that I've been freezing since September, and I was looking for a DIY recipe that would soothe my dry skin while helping me get warm, if even just for a few moments. 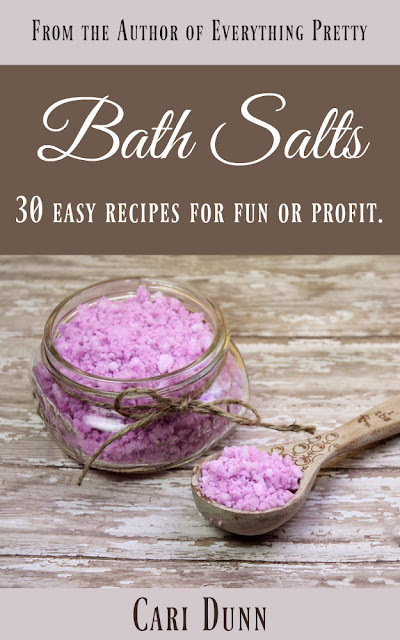 I wanted a bath salt recipe because I like the benefits of the salts for my aching muscles and joints. I also wanted a milk bath because they are so good for dry skin. 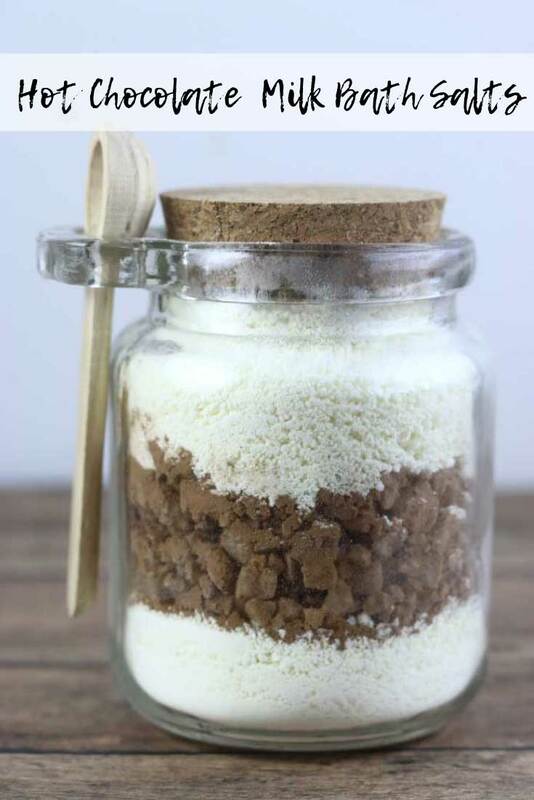 I made a hot chocolate milk bath salts recipe for help soothe tired and achy joints and muscles while it helps relieve dry skin. I added the chocolate because it smells amazing and has a lot of skin benefits. And I may be enjoying sugar free hot chocolates most evenings. 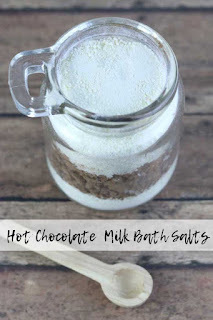 This hot chocolate milk bath recipe would also make a great handmade gift for Christmas. I give small gifts like bath salts or sugar scrubs to my volunteers as a thank you or for teachers gifts. One year, my three kids had 14 teachers to give to. 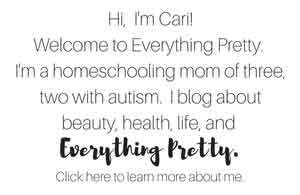 I do not miss that now that we homeschool! Sea salt comes from, you guessed it, the sea. It's the salt that is left after the salt water evaporates, so it has trace minerals in it that can help your body and your skin. Sea salt is a wonderful base for these milk bath salts because it has therapeutic benefits. The salt is high in a variety of minerals, depending on where the salt came from. Sea salts are typically high in potassium to help balance the skin's moisture. Sea salt also has bromides to help relieve muscle stiffness and pain. The sodium in sea salt can boost circulation of lymphatic fluid. Sea salts are have magnesium, which is known to help water bind with the skin. 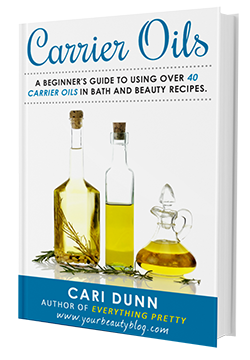 It also promotes cellular turnover and increases the skin's permeability to boost hydration and improve skin texture and tone. Chocolate isn't just a yummy treat, it's also really good for your skin. Cocoa powder from your grocery can be used in this recipe, just make sure it doesn't have any artificial ingredients. I added cocoa powder because it's full of antioxidants to fight free radicals. It also exfoliates your skin to remove dead skin cells as you soak in it. The flavonoids in chocolate nourish your skin and boost elasticity for better looking skin. Meanwhile, the caffeine helps improve skin tone and eliminate fluid retention. 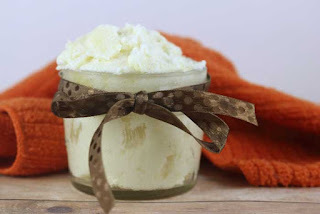 Powdered milk is a wonderful ingredient for homemade bath products. The lactic acid helps tighten and tone the skin. Milk powder also cleanses your skin and help skin look brighter and fresher. It boosts collagen production and promotes cellular turnover. Milk powder is high in vitamin A to promote cell division and B6 to keep the skin moisturized. I added coconut milk powder because it has so many skin benefits, but almost no one uses it for DIY bath recipes like this one. Coconut milk is also moisturizing, and it can soothe your skin and reduce itchiness and dryness. It's high in copper and vitamin C, both of which boost elasticity and flexibility of skin. If you have hard water, you definitely want to add baking soda to your milk bath salts. It helps make the water feel softer and gives it more slip. Baking soda also helps exfoliate the skin for better looking skin. 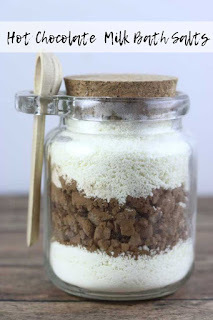 I used vanilla essential oil for the white part of this chocolate milk bath salts recipe. Not only does it smell amazing (I was going for a vanilla-y whipped topping thing here), but it also has skin benefits. It's an antioxidant to help fight free radicals. When used in aromatherapy, vanilla is said to be calming and relaxing. I got my vanilla essential oil from Crafty Bubbles. It's a new variety, so it's only available on their website. Combine the sea salt and cocoa in a bowl. Set aside. Combine the powdered milk, coconut milk powder, baking soda, and vanilla essential oil in a separate bowl. Layer them in a cute container. This will make 4 or 5 8-ounce jars. I really like this cute container I got from Hobby Lobby. It has a little holder on the side for a scoop. It's perfect for giving as a gift and looks adorable on the shelf in your bath, too. It's a little pricey to buy for gifts, but you may want this bath salt jar with a scoop for yourself. These jars are adorable and would hold one bath's worth. I think these jars are also adorable for DIY bath salts recipes. 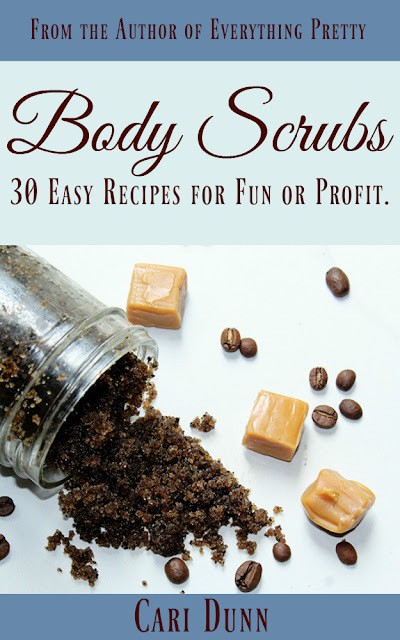 If you like making bath salts, then check out my books Bath Salts: 30 Easy Recipes for Fun or Profit.